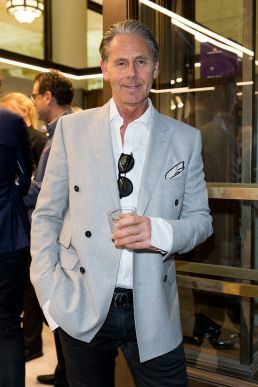 The Farage fashion name is a major success story when it comes to mens fashion, the label renowned for brilliant quality, great fit and on-trend style . . . without being fussy. 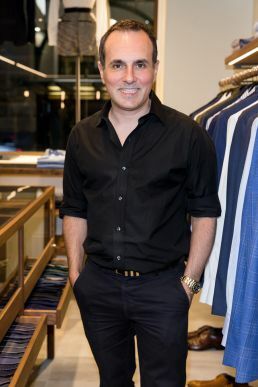 So, Joe and Katy Farage welcomed 50 guests to the opening of their new flagships store at 5 Martin Place Sydney, designed by renowned Australian interior designer, Greg Natale. Guests included Joe and Katy Farage, Jonathon Ward, Tanya Buchanan, Jeff Lack, Erin Holland, Steve Cordony, Greg Natale, Brad Homes. 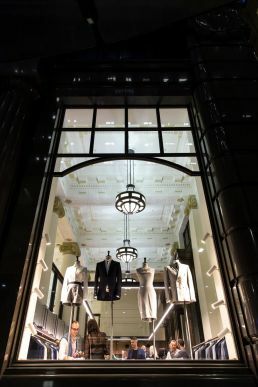 The new store offers the full Farage men’s and womenswear collections including brands J Brand, YSL ties, Ambers Skeats jewellery and other luxury accessories. The new flagship store will also offer in-house personalised monogramming on shirting. To top the night of, there was a live performance by Milan Ring.